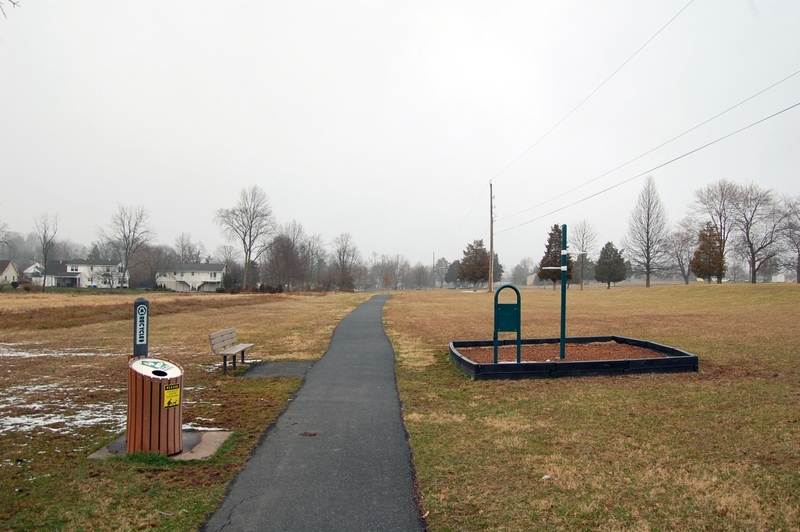 We stopped by the Biser Fitness Trail at the Gettysburg Area Recreation Authority’s Rec Park on Friday afternoon.This view was taken facing south at approximately 3:45 PM on Friday, March 10, 2017. After being told that the trail was built on National Park Service land, the borough has made some markings along the trail that indicate their intentions.We got caught in a small snow squall that lasted about ten minutes as it swept across town. This view was taken facing south at approximately 3:45 PM on Friday, March 10, 2017. 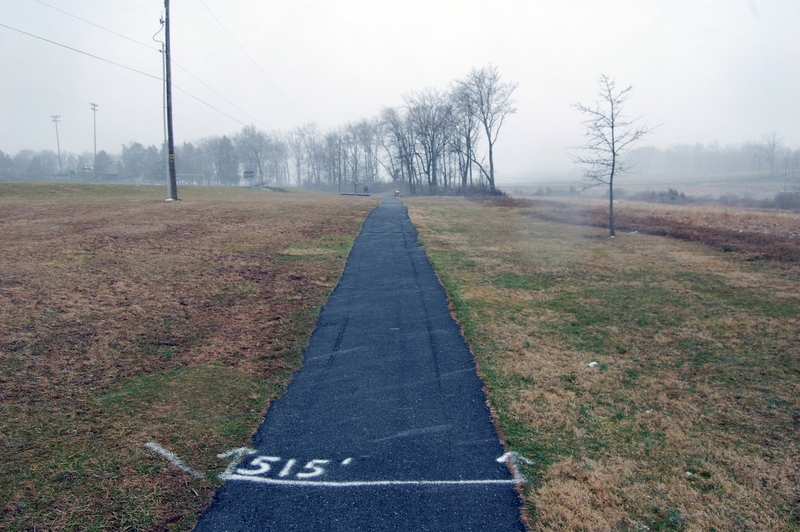 515 feet is the exact length of trail that the borough will need to remove. 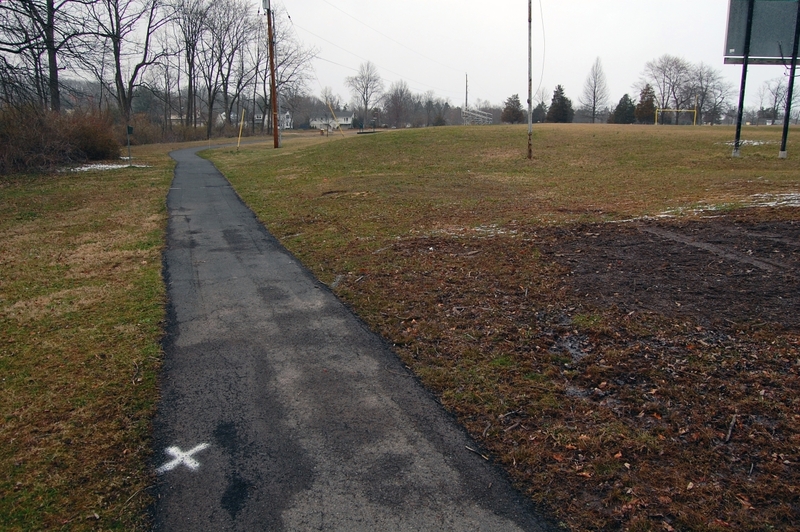 The trail will have to be rerouted around the football field (note the arrow).This view was taken facing south at approximately 3:45 PM on Friday, March 10, 2017. 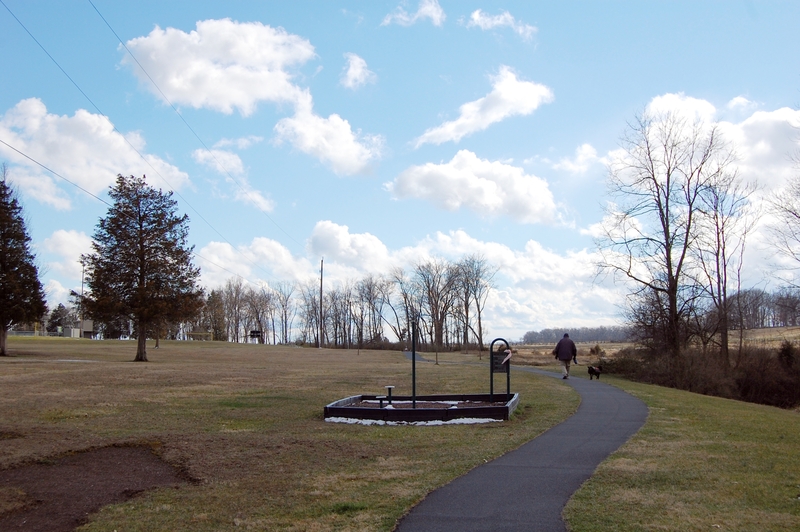 We’ve walked down the trail and turned back towards the community of Colt Park (left). This entire section of trail will need to be removed.This view was taken facing north at approximately 3:45 PM on Friday, March 10, 2017. 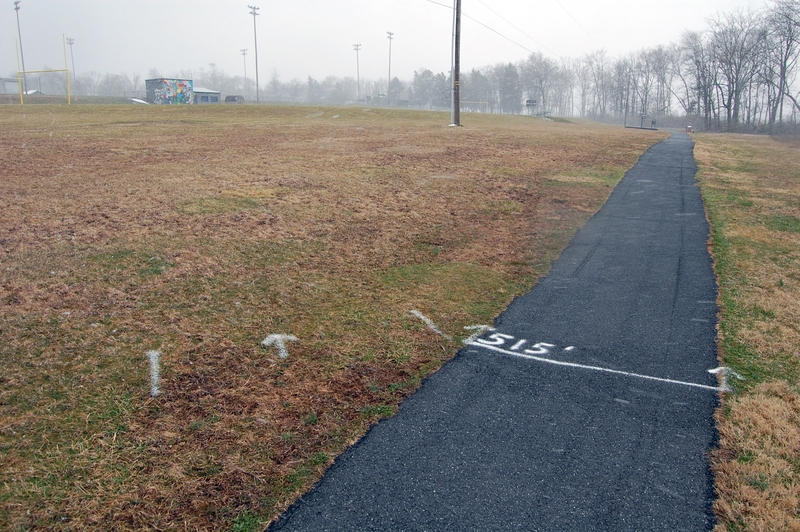 At the southern end of the trail/football field, there are more markings indicating that the borough will reroute the trail around the football field.This view was taken facing northwest at approximately 3:45 PM on Friday, March 10, 2017. 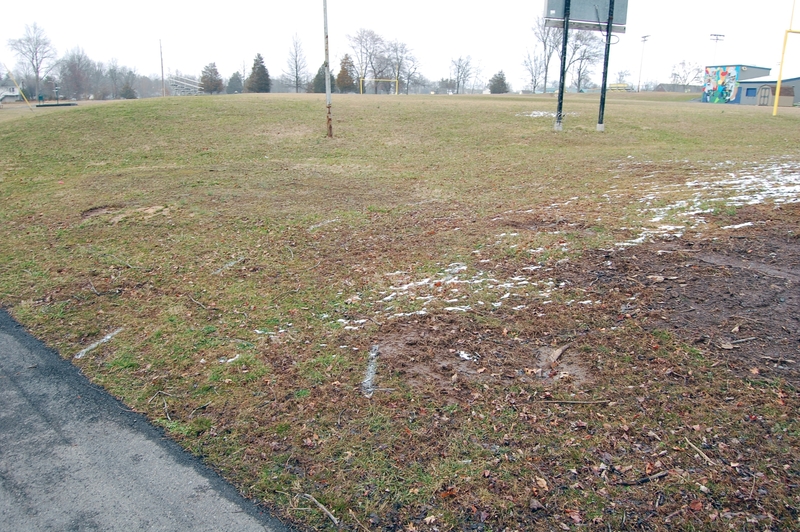 The football field will also have to be shifted to accommodate the NPS boundary.This view was taken facing north at approximately 3:45 PM on Friday, March 10, 2017.